Music is Yvonne Casey’s life. Yvonne is one of Co. Clare’s distinctive fiddle players. She grew up surrounded by the richness of Clare music and plays in a unique soulful style. Sitting in sessions from a very young age she discovered the joys of Doolin as a teen, where she met and played with legendary musicians such as Kevin Griffin and Eoin O’Neill. In the 1990’s the band The Ceili Bandits was formed, Yvonne recorded two CD’s with them and toured Europe and the U.S.A. She also recorded her first solo CD in 2004. For many years Yvonne also played with trad-rock band Bushplant and singer-songwriter Luka Bloom. Since then Yvonne has created her own music school in Ennistymon, Co. Clare, and performs and teaches at various festivals at home and abroad. Her recent collaboration with Donegal accordion player Dermot Byrne is charming audiences with their fresh new sound. 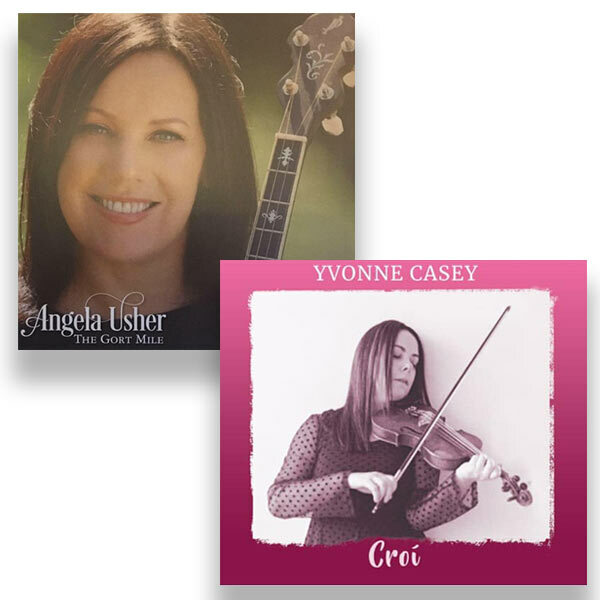 Yvonne recently released her second CD entitled “Croí’ which includes many of her own new compositions. A special treat for all music lovers!